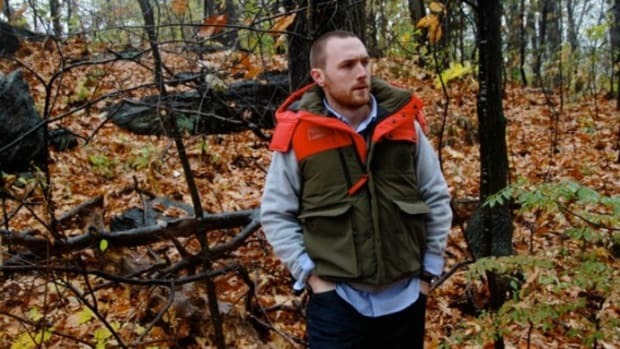 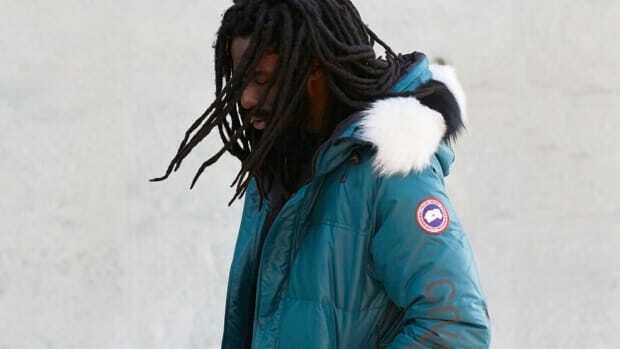 Boston&apos;s streetwear connoisseurs, CONCEPTS, line-up with Canada Goose to produce the newest winter staple that you didn&apos;t even know you needed, the MA-1 Lodge Hoody Down Jacket. 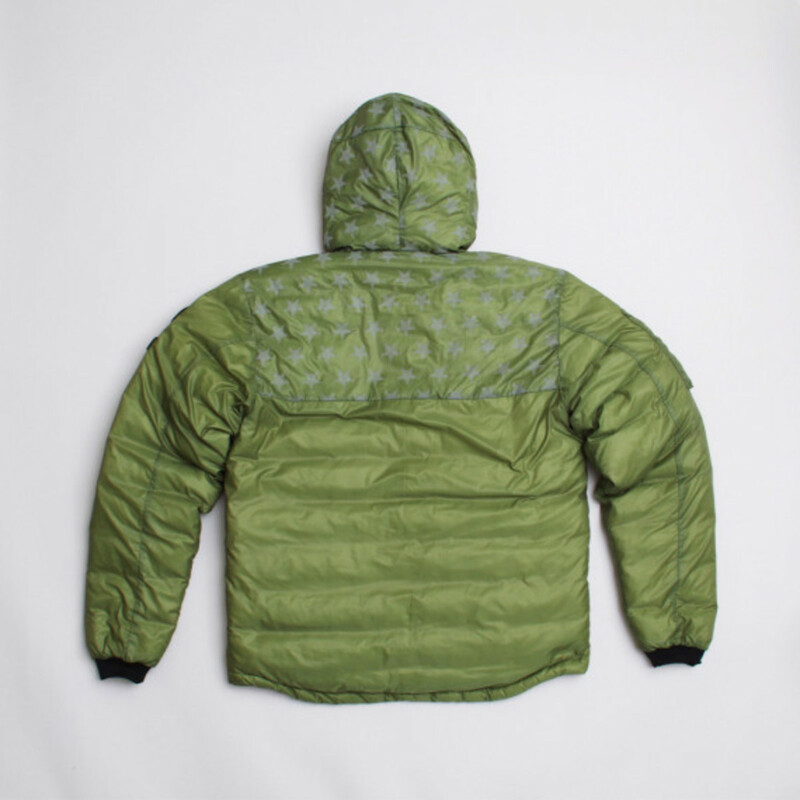 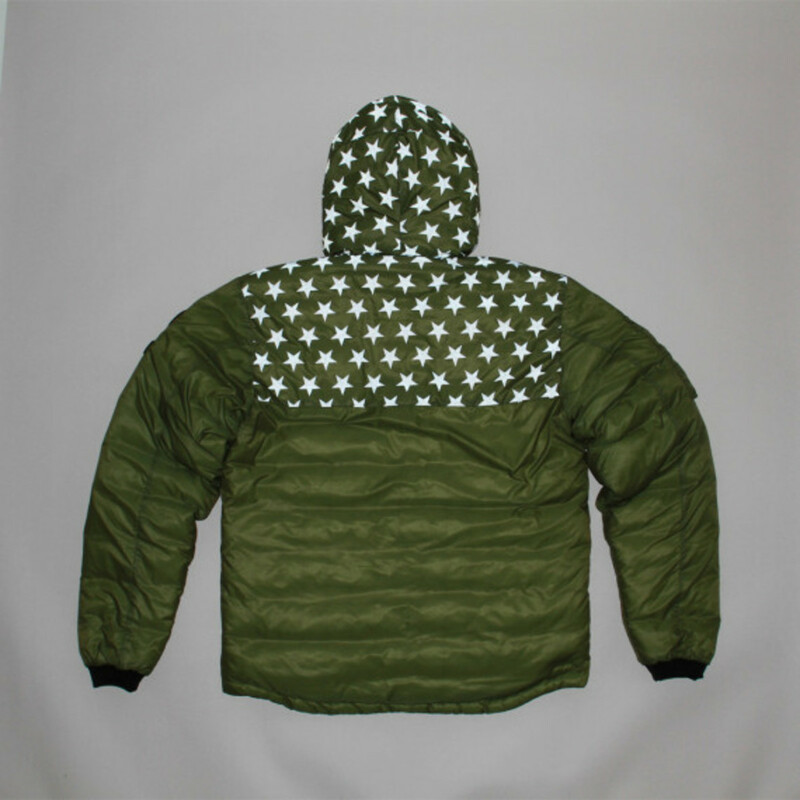 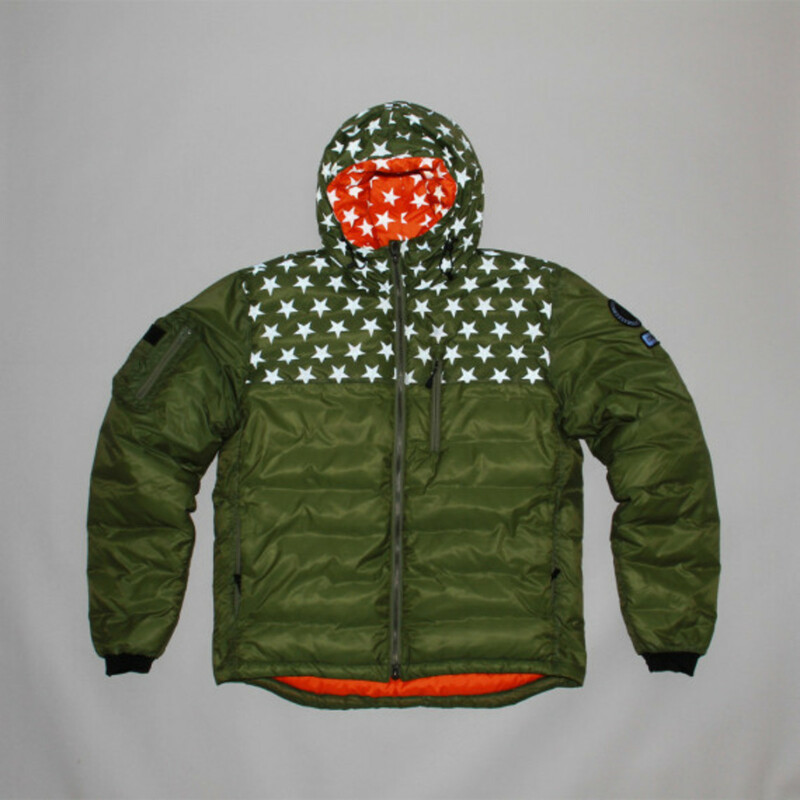 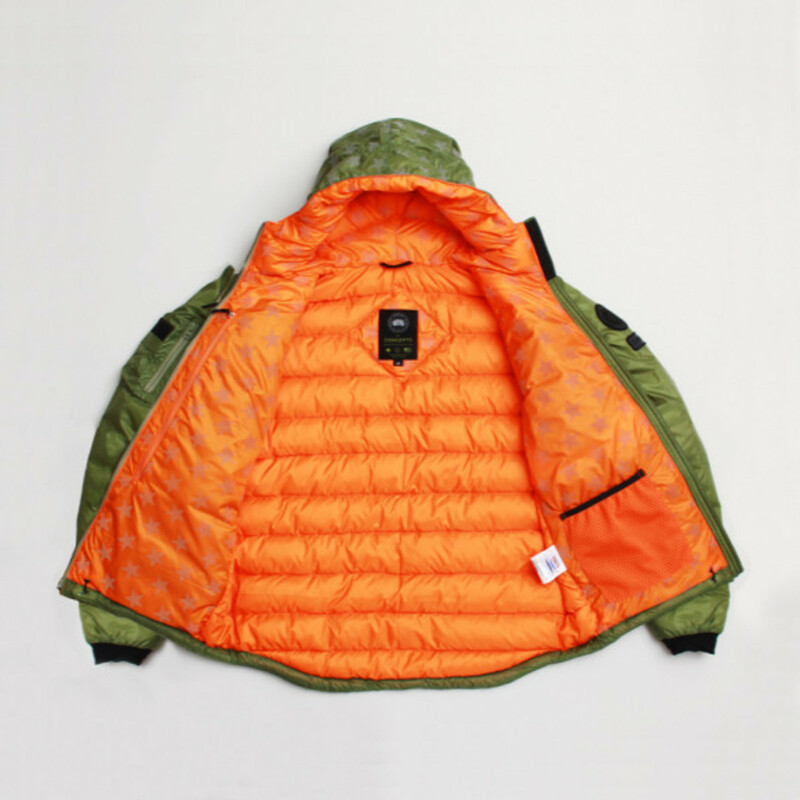 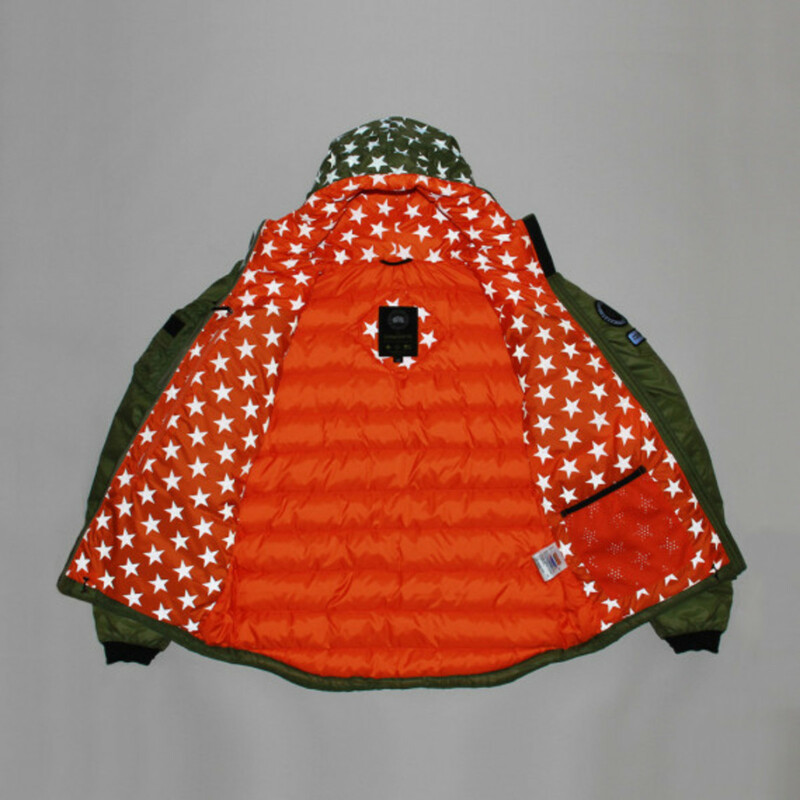 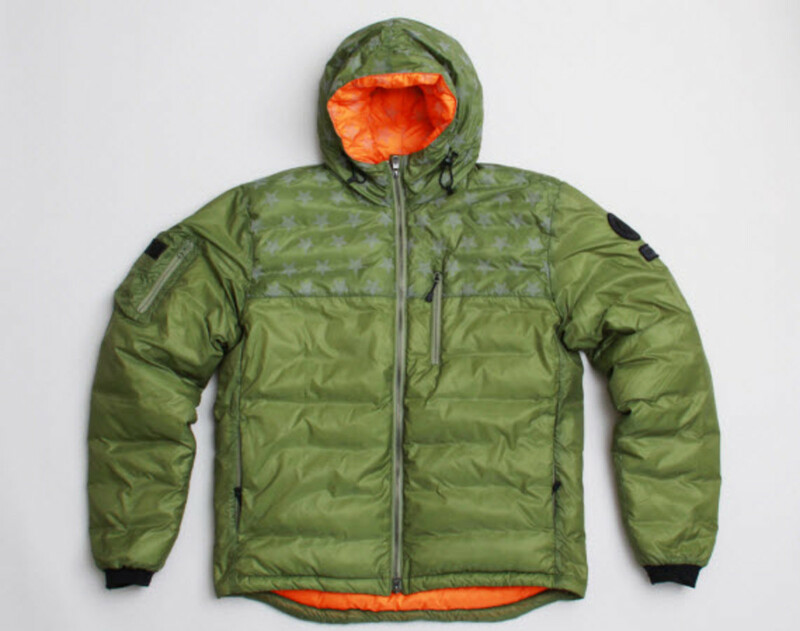 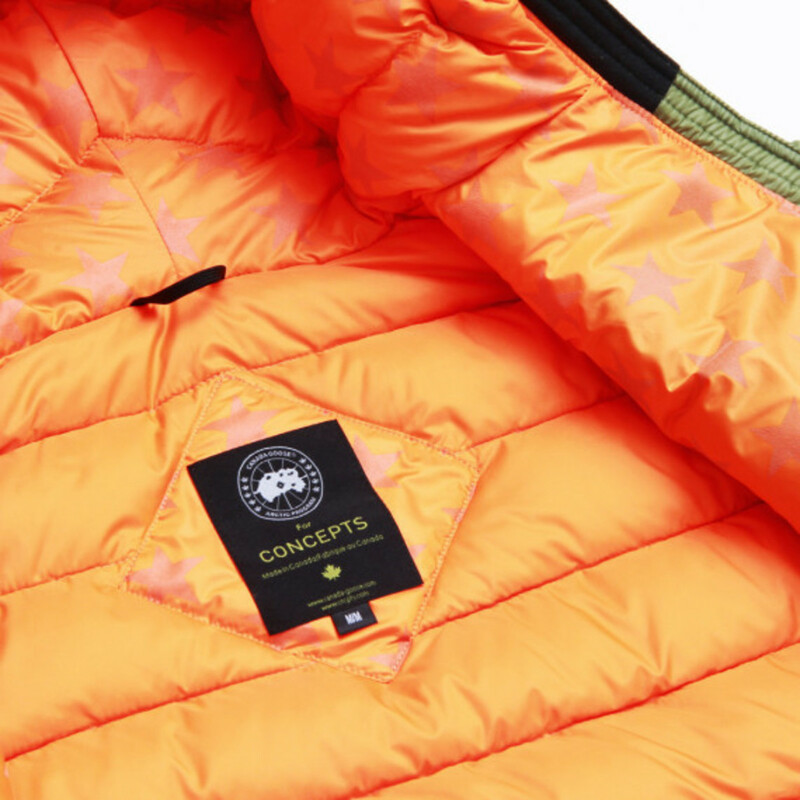 A clear winter essential, this jacket features an olive drab ripstop exterior packed with 750-fill power Hutterite duck down that reveals a tonal star print on the orange interior and exterior when light is shined on it. 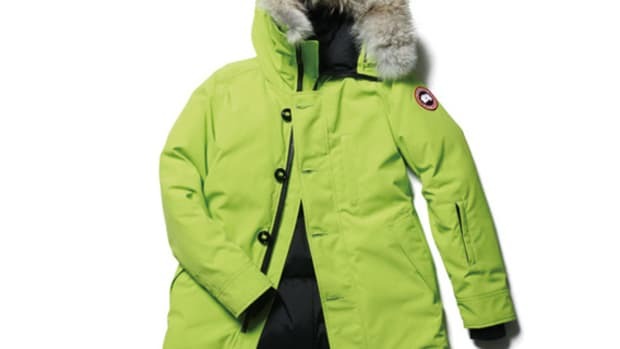 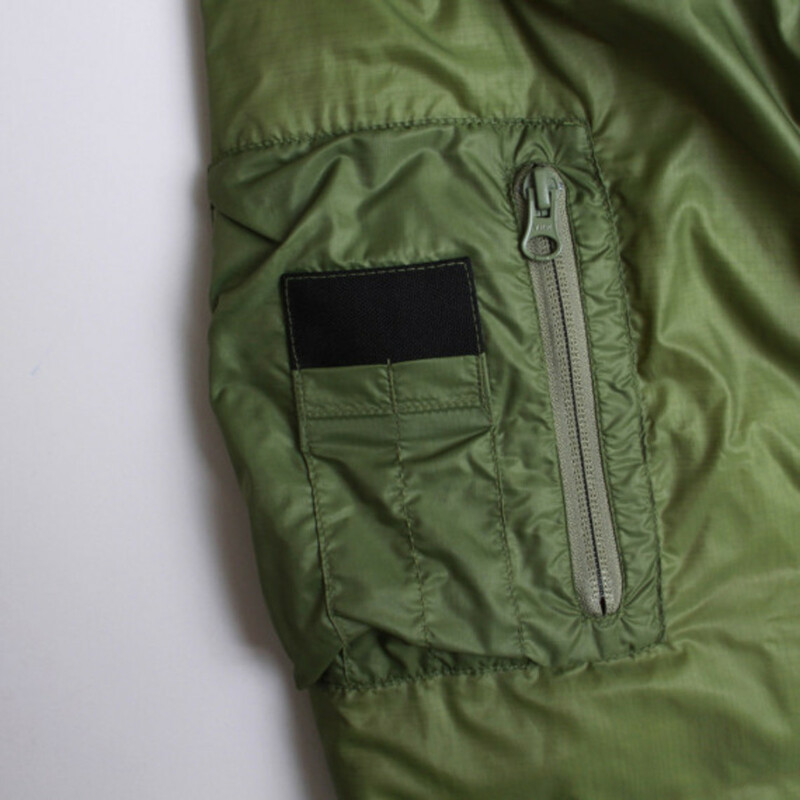 The jacket also is equipped with reflective arm patches, and a patch pocket with zipper on the right arm, joining the zippered hip and chest pockets. 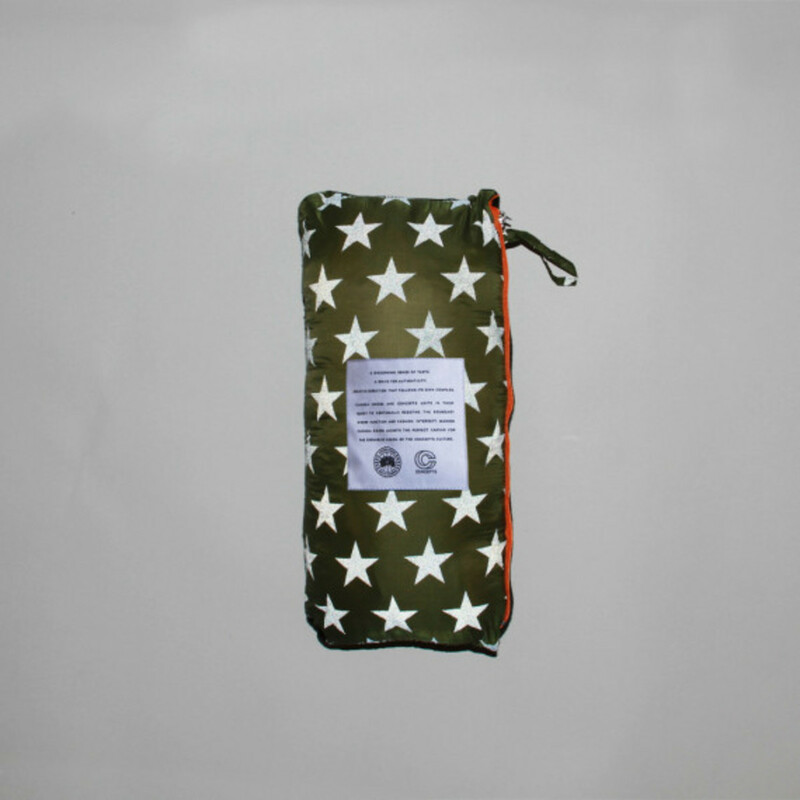 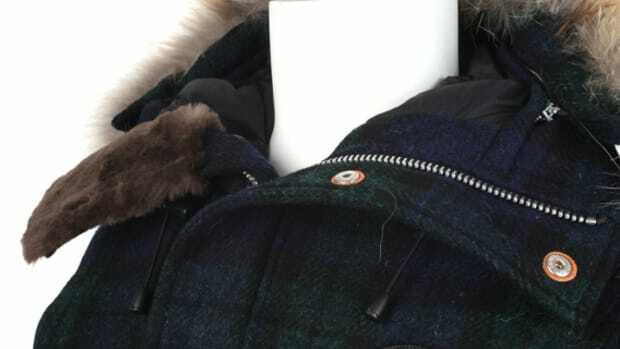 Perhaps best of all, the jacket rolls up and zips into a neat, easy to carry pouch that can double as a pillow. 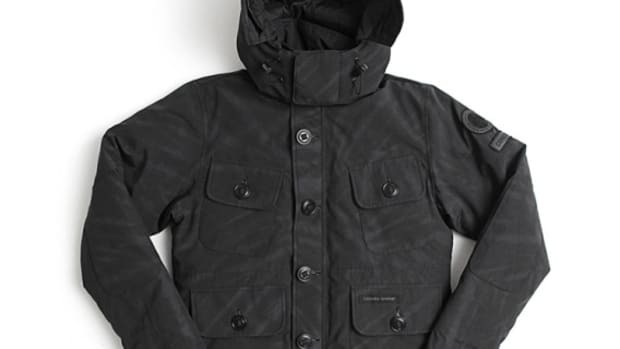 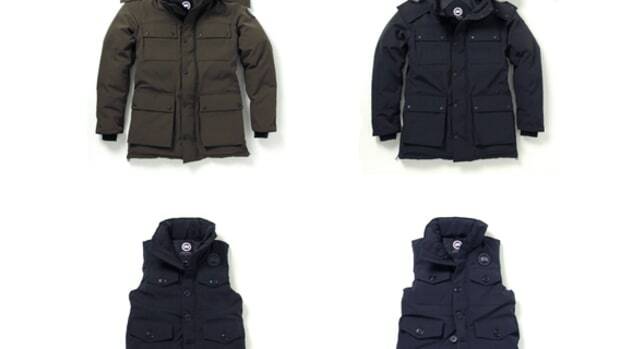 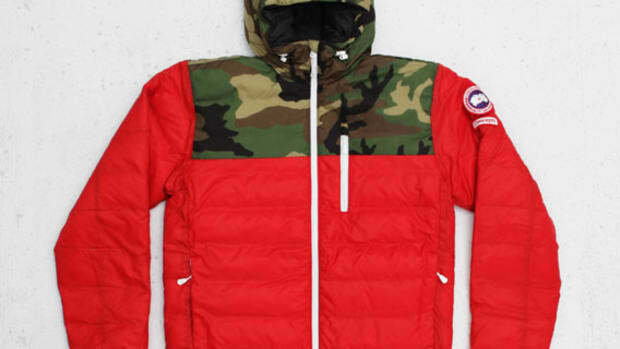 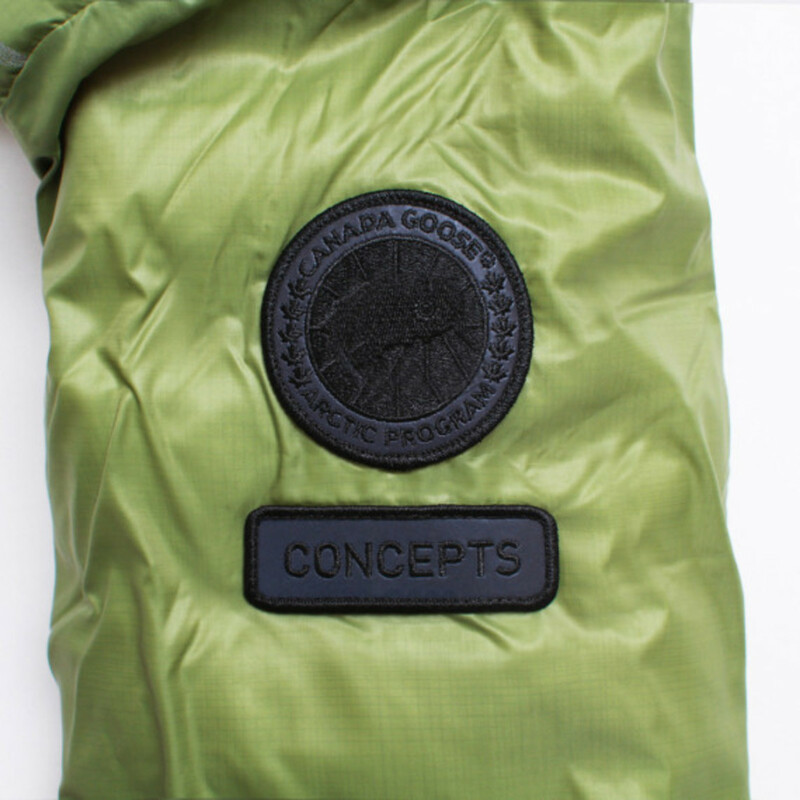 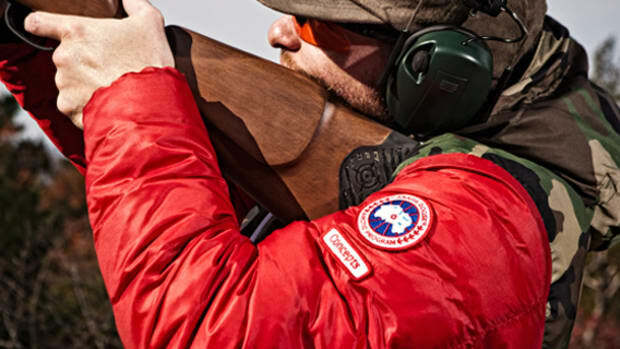 The Concepts x Canada Goose Lodge Hoody MA-1 will be available exclusively at Concepts.